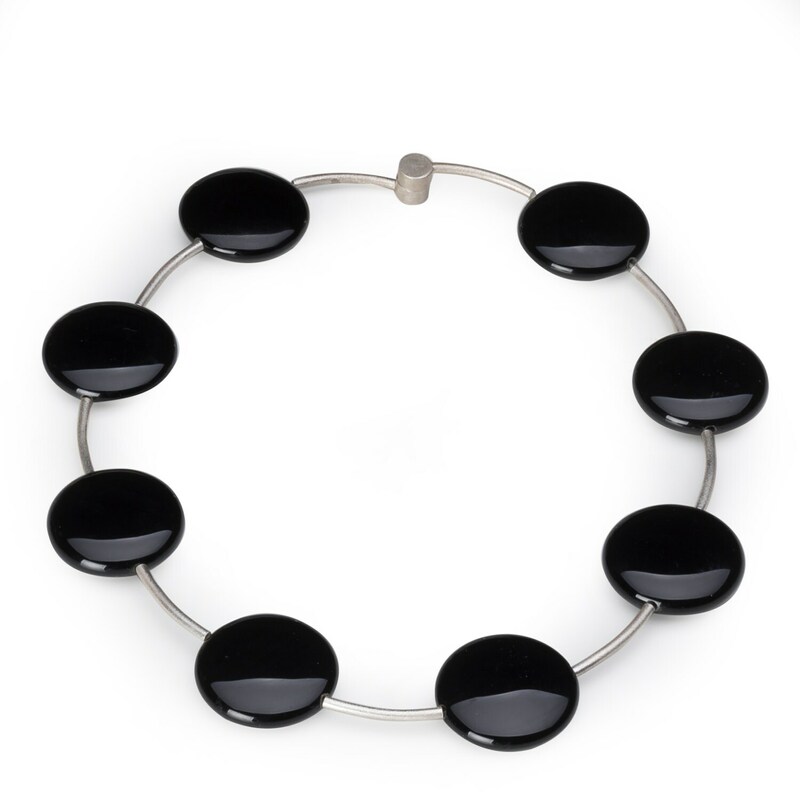 Necklace, 925/000 silver, onyx, black. Shiny black necklace, approx. 46 cm long, made of Onyxscheiben, approx. 4 cm in diameter, and frosted silver with magnetic clasp.